Closeouts. 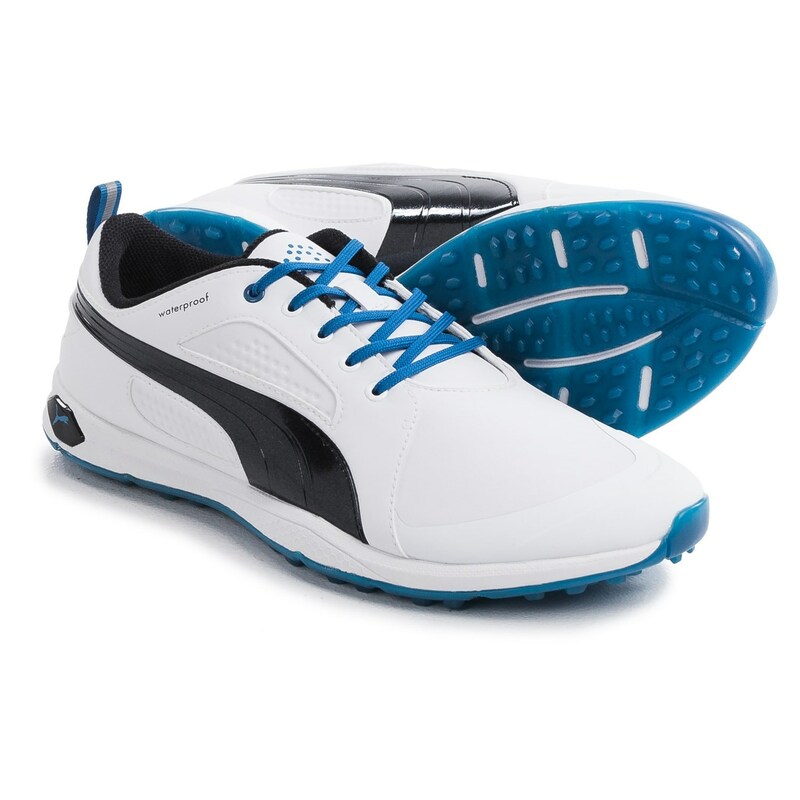 Puma’s BioFly golf shoes are engineered to put your focus on your swing, rather than your shoes. The full-length flex grooves in the outsole improve medial and lateral flex, and the carbon crystal rubber delivers grip and traction on any surface. Lightweight, waterproof construction with plenty of cushioning and support means your feet will be happy to ditch the cart and walk the course.